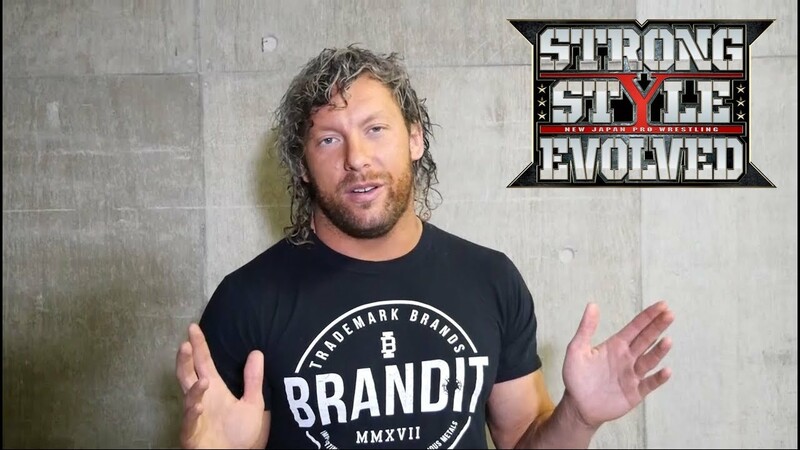 Another clue in the future of Kenny Omega falls as he confirms to Tokyo Sports that he is leaving New Japan. Kenny Omega confirmed, in an interview with Tokyo Sports, that he is leaving New Japan Pro Wrestling. He lost the IWGP Heavyweight Championship to Hiroshi Tanahashi in front of a packed Tokyo Dome on January 4. The last part of the quote (which can be seen here in the untranslated version) is also newsworthy, as Omega says he needs time away in general, “not just from New Japan.” It’d be surprising to see him take time away when he is the hottest free agent in professional wrestling, but Kenny Omega beats to his own drum. Sure to be lost in the news of Omega’s departure is the announcement by KUSHIDA that he is also leaving New Japan, after 8 years. KUSHIDA lost the IWGP Junior Heavyweight Championship at WrestleKingdom 13, an event that saw each championship change hands. As previously reported, WWE has shown interest in the junior heavyweight, and his trip “overseas” could indicate a deal with the worldwide leader in Sports Entertainment. As is the case with any notable free agent in pro wrestling, both Kenny Omega and KUSHIDA are obviously on the radar for All Elite Wrestling. Omega is a member of The Elite, and was a prominent part of the build to ALL IN. It’s likely that the only thing standing between Omega and AEW is a large-money WWE contract. KUSHIDA, while not the name that Omega is, would be a great addition to the roster as he is also very popular with American fans. All Elite Wrestling is hosting a rally on Tuesday in Jacksonville to reveal more plans for Double Or Nothing. While not confirmed, an announcement on the futures of both men could come at that rally. 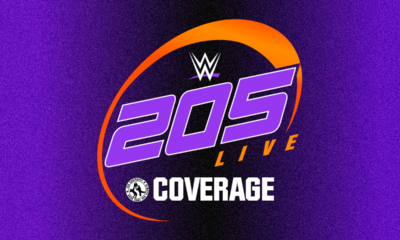 Stay tuned to The Chairshot as we continue to monitor the start to what is shaping up to be one of the biggest years in the history of the wrestling business! 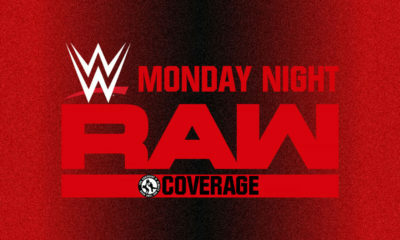 News today involving Sasha Banks, RAW Ratings, Hardy Injured and more! Sasha Banks Done With WWE? I really think Banks is overreacting. However, she has accomplished a lot in her time in WWE, and seems to be someone who could do without wrestling. Her net worth reportedly 3 million, so if she decided not to wrestle again, she should be fine. Obviously, the superstar shake-up isn’t helping ratings after one week. The scary part about Monday’s ratings is the fact that the show started out strong, but lost viewers each hour. Last fall, many attributed the low ratings due to Monday Night Football. Other than the NBA Playoffs, there isn’t much on TV in terms of sports right now for WWE to compete with. Poor writing? Is 3 hours too long for a show? 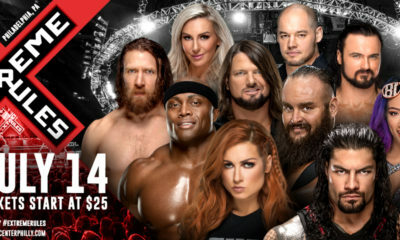 You have to wonder if FOX isn’t a bit concerned about the bill of goods they paid for in the deal to bring SmackDown Live over from USA. Two different programs, but they must be paying attention. Thompson and company had to know they were taking a gamble at signing the Undertaker to appear at Starrcast. Especially being the event is closely associated with All Elite Wrestling, even though the event is a separate entity. I was looking forward to hearing from the Undertaker during his Q&A, as he is the one wrestler fans have wanted to hear stories from for years. According to Wrestling Observer Radio and Dave Meltzer, Jeff Hardy was recently injured at a live event this past weekend. According to Meltzer, Hardy suffered what appeared to be a leg injury. Hardy did not work Sunday’s live event, but appeared in the corner of Matt Hardy while showing a significant limp. Hear is hoping for a quick recovery for Jeff Hardy. Shortly before WrestleMania, Ronda Rousey was reportedly set to leave WWE for her “impregnation vacation.” While WWE has not commented on Rousey’s status, Rousey posted an update on her YouTube channel not only confirming her reported hand injury, but also the long rumor that she would be leaving the company to start a family. Regardless of how many feel, Rousey did do a lot for the women’s revolution. She had a big hand in the attention the women’s division was garnering from the mainstream media. Rousey plus WWE equals money. I wouldn’t be surprised if Rousey returns to WWE at some point.